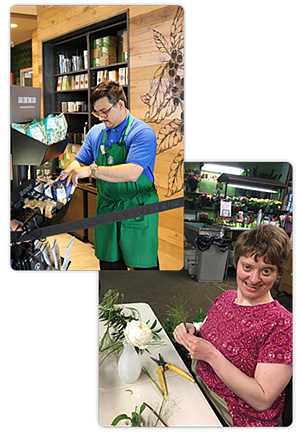 Through EmpowerOne, individuals with disabilities build the skills and independence needed to be successful in employment and be a real part of their community. Depending on what you want and need in your life at this time, we have a number of services that you can choose – from foundation and skill-building, to on-the-job training, to employment and independent connection in the community. How do you access EmpowerOne? We offer services in Milwaukee County for people eligible for or with long-term care funding who have a goal of employment and want to connect with their community in new ways. Services are provided through long-term care and referral from a Family Care Manager or IRIS Consultant or through the Division of Vocational Rehabilitation (DVR) and a referral from your DVR Counselor. We have a dedicated 60-person team that works to help you decide, at this time, what you want and need in your life. Staff meets one-on-one with you, your family and any other supports you may have. 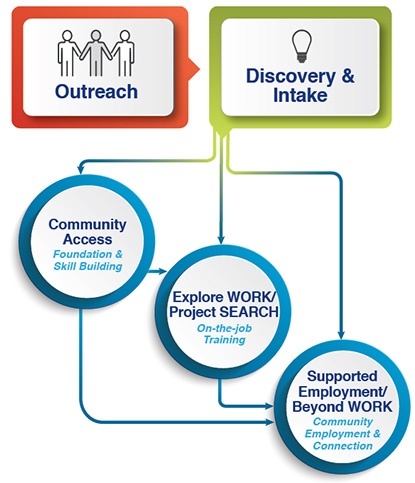 Relationships are important and through a broad network of over 200 employer and community partners we create opportunities for learning, training, employment and a meaningful life in your community.